Precise movement, like clockwork. Integrated Blumotion is a technical masterpiece that fits into the smallest of spaces and provides your furniture doors with silent, effortless closing. This full overlay hinge comes with Blum "Silent Close" that stops doors from slamming and also 3-dimensional adjusting. Clip Top Blumotion is designed to open and close 200,000 times, with a compelling quality of motion, to last the lifetime of the furniture. It's time to upgrade your home design with the straight lines and streamlined appearance of this contemporary switch plate. With simple clean lines, it's perfect for furniture and cabinets. This traditional switch plate will enhance the style of any room. Designed with a rectangular shape and finished with fine detailing around the edges. 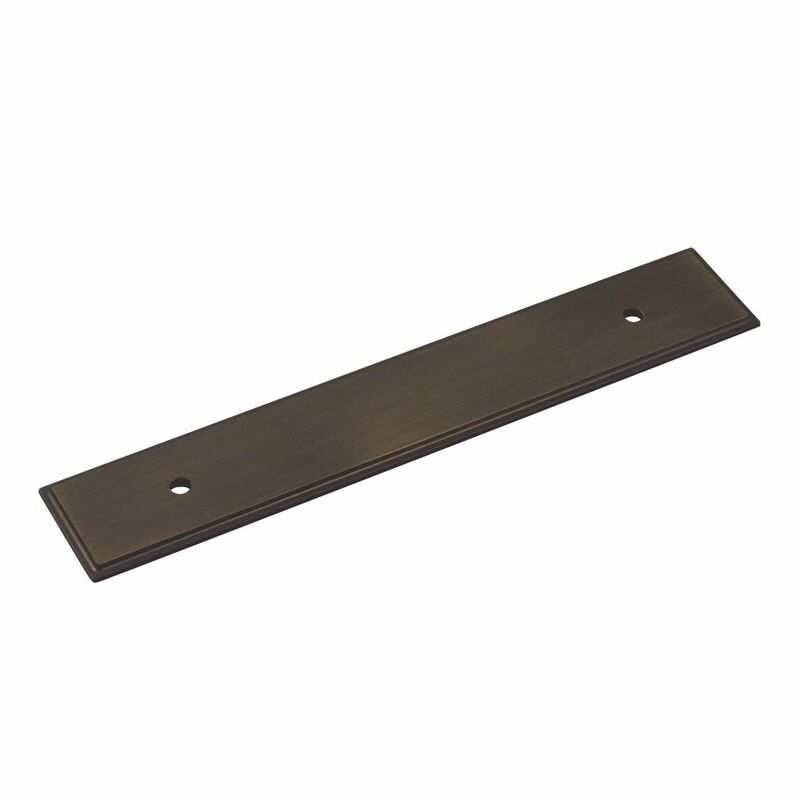 Transitional Metal Back plate for Pull 5 1/32 in (128 mm) CtoC - Tremblant Collection Transitional metal back plate for pulls by Richelieu instantly upgrades kitchen and bathroom cabinets.